A flyer produced by Devil's Kitchen Design (ahem) for one of Carnival of Souls' bigger Barfly gigs. As regular readers will know, I am a big fan of my brother's music. And there is a lot of it—though none of it "officially" published. Nevertheless, under the name of "Gronk", I have 468 items in iTunes; as Carnival of Souls, I have 199. Currently, he writes and records (on his MacBook) as Gronk, and plays live as Gronk and the Body Doubles (here's a short review of their last gig although, alas, the reviewer was unable to stay for the second set). In this incarnation, his music is more traditional bluesy rock, with a few tracks harking back to his earlier, moodier roots. Here's an amateur recording of The Empty Quarter (the only video that I can find) from a few months ago. 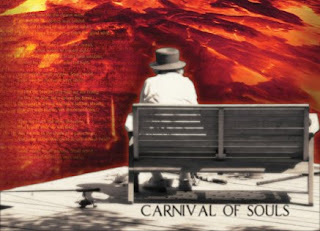 My brother's first band, Carnival of Souls, went through three main incarnations from 1996 through 2006 (I think) and produced some excellent songs and some amazingly atmospheric soundscapes—both live and in their recordings. Every now and again, I find some song that I haven't listened to in years (or discarded when I first listened to it) and find myself immersed in some epic—such as this eight and a half minute, four movement version of The World Is Bleeding. 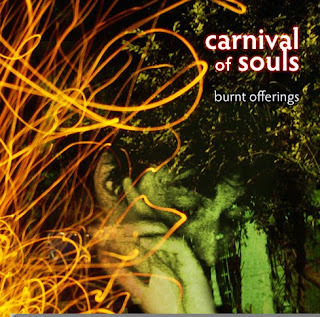 But whilst searching for something to listen to the other day, I decided (for the first time in ages) on Carnival of Souls' last "release"—an EP called Burnt Offerings which, while of more conventional fare, nevertheless consisted of four excellent tracks. The Carnival of Souls fanbase, once quite large for a small band that only once gigged outside London (at Standon Calling), has largely dispersed; most of their music has now fallen between the cracks—which I think is a pity. 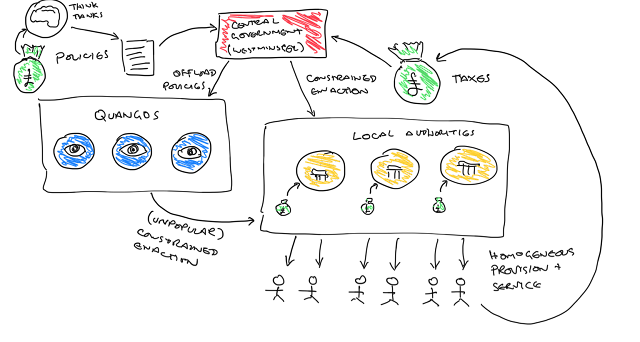 So, in the spirit of an historian, if you like, I make my Burnt Offerings (with original artwork by DKD) to the gods of the blogosphere. I hope that you enjoy the music... and turn it up! Sorry - I hate pop music or any other weirdly nemed vasriant. Thanks - free music is always nice to have, and this seems to have the added advantage of actually being good!